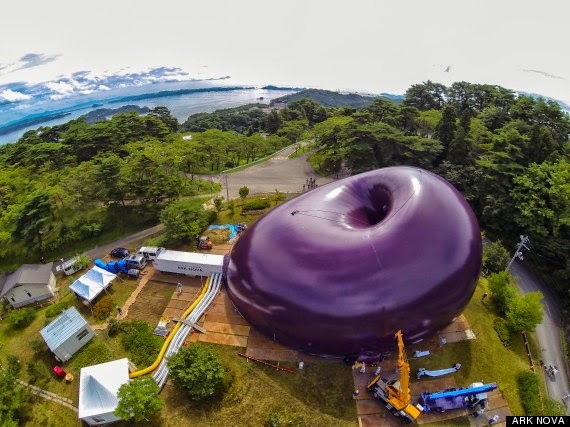 Judy Polan: ODD BITS: A giant purple doughnut? 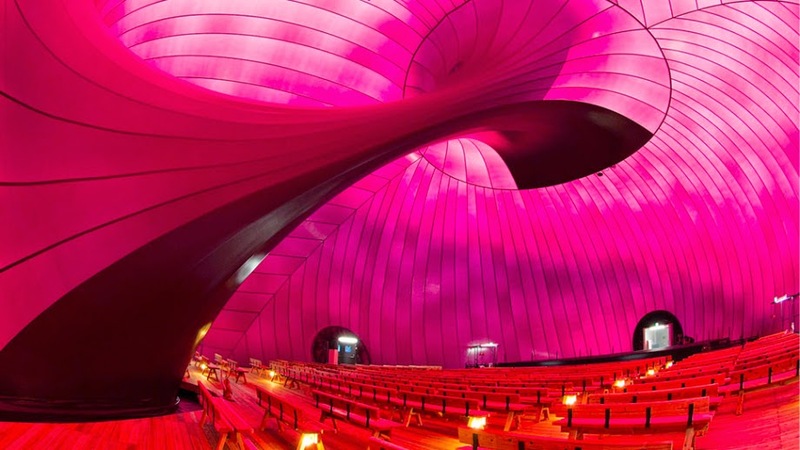 This colossal, balloon-like structure is the world's first inflatable, portable concert hall! 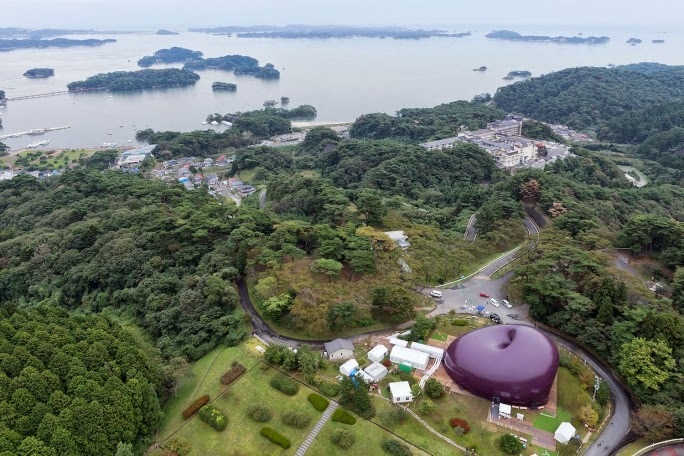 Japanese architect Arata Isozaki; their intent was to provide a touring performance space where victims of the 2011 earthquake and tsunami could find comfort and community. "I am honored to have been asked to design Ark Nova for the Tohoku area,"
and for music, in which color and form enclose. I hope that the devastation can be overcome by creativity. and in so doing can help us to see we are not alone." Watch the installation process here.